Ramdev Temple at Ramdevra in Jaisalmer District in Rajasthan is dedicated to Shri Ramdevji a 15th century saint, who is believed to be a manifestation of Hindu God Vishnu. Ramdev Temple Bhadrapad Mela 2019 is September 1. The popular belief is that Shri Ramdeo appeared on the second day during the Shukla Paksha of Bhadrapad month – Bhadro Dooj – as per traditional Hindu calendar followed in Rajasthan. The fair ends on Bhadrapad Shukla Paksha Ekadasi and in 2019 this is on September 9. Ramdev Temple at Ramdevra has the tomb of Shri Ramdevji. 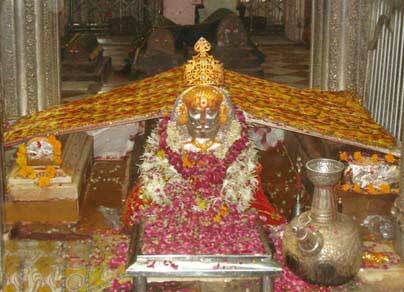 The temple is associated with the Tanwar Rajput community. The Bhadrapad Mela attracts nearly a million people from Rajasthan and different parts of India. Ramdevra is around 125 km from Jaisalmer.